Bumper To Bumper And Everything In Between! We’re also ready to assist with regularly scheduled services and preventative maintenance. Preventative maintenance can extend the life of your vehicle. Your car’s manufacturer has suggested a schedule of recommended services, which will help prolong the life of your vehicle. 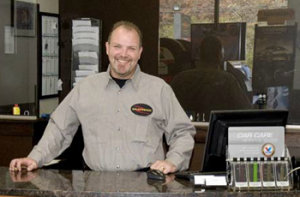 At D&R Autoworks we can provide the services that will maintain your vehicle warranty. We believe in preventative maintenance and what we can do for the care of your car. Need Affordable Vehicle Repair Service? D&R Autoworks offers the most affordable auto repair service and regular vehicle maintenance in the Highland Park, Deerfield area. We can assist you with all your vehicle maintenance needs from oil changes to complex diagnosis and automotive repairs. Call us and keep your vehicle running at optimal performance! Don't have time to drop off your vehicle? No problem, we will pick it up and deliver it! 25+ Loaner Cars To Keep You On The Go! Complimentary Car Wash With Every Service!